Kansas City, Mo. 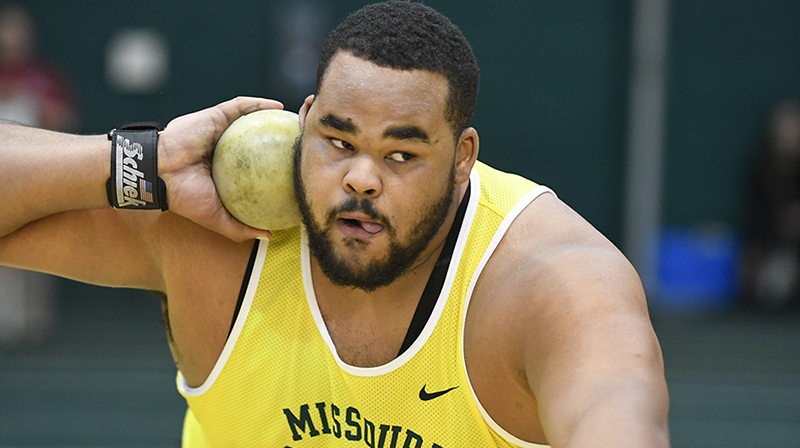 — Missouri Southern senior thrower Bryan Burns has been named the MIAA Men’s Field Athlete of the Week the league has announced. Burns, a senior from Carthage, Mo., picked up an NCAA AQ and another provisional as he competed in the shot put and the weight throw at the Crimson and Gold Invite this past weekend at Pitt State. Burns broke his own school record in the shot put and earned an AQ as he has the nations top throw at the moment at 60-08.50. That mark was second, but he was the top collegian in the event. He also had a provisional mark in the weight throw with a third-place throw of 60-05.00. Burns’ weight throw mark currently ranks 12th nationally, but is the top mark in the MIAA.